Last week, Astrakhan State University welcomed Prof. Federico Pernazza from the University of Molise (Campobasso, Italy) within the framework of the Erasmus+ academic mobility programme. 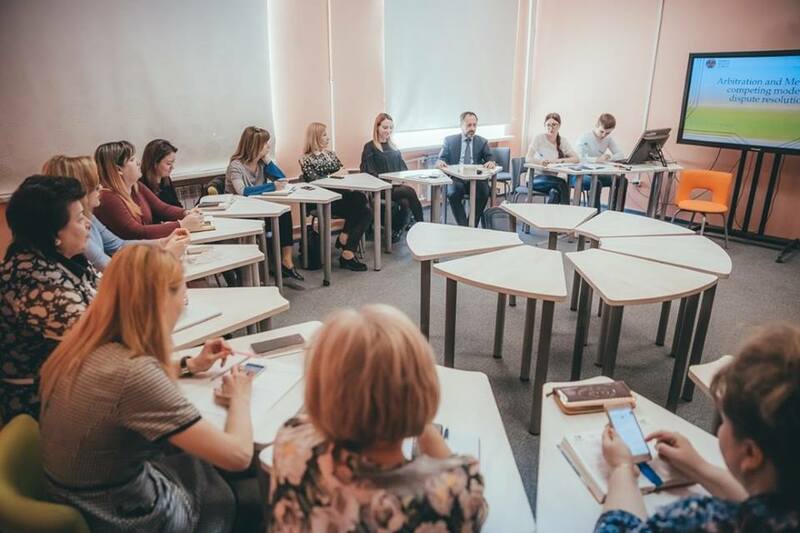 Prof. Pernazza gave a number of lectures and held round-table discussions and scientific workshops for students and teachers of the ASU Law Faculty. Surely, these events could not but involved the MA students of the Caspian Higher School of Interpreting and Translation: in the course of three days, our first and second year students interpreted lectures for the Law Faculty students, as well as a scientific workshop attended by teachers the Law Faculty and International Law students. The MA students also made their contribution by interpreting during the round-table discussion for the Law Faculty teachers. It was quite a challenging task for our students, as they had to become virtually legal experts within the shortest time, since any interpreting requires a thorough preparation. The School MA students are always scrupulous in terms of preparing for the work ahead. That is why, despite the tight time limits, they managed to perform top-class interpretation, which was commended both by the Law Faculty teachers and by Prof. Pernazza himself.